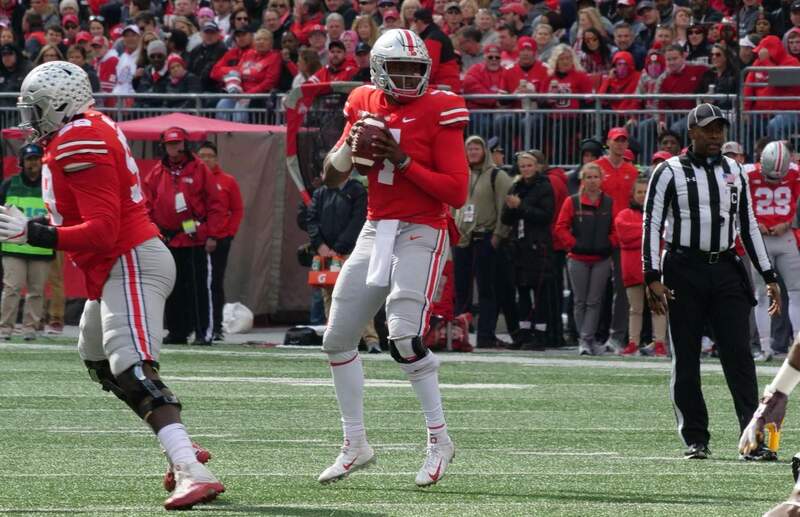 COLUMBUS, Ohio – A 27-yard touchdown strike from Dwayne Haskins to K.J. Hill with 2:15 to play allowed the Buckeye faithful to finally breathe easy as Ohio State topped Minnesota 30-14 on Saturday at Ohio Stadium. Down nine points, Minnesota was driving when Isaiah Pryor recorded an interception at the Ohio State 2-yard line with 9:25 left in the game. Ohio State (7-0, 4-0) remained unbeaten while the Golden Gophers fell to 3-3 overall and 0-3 in Big Ten Conference play. Haskins threw for 412 yards on 33-44 passing with three scores. 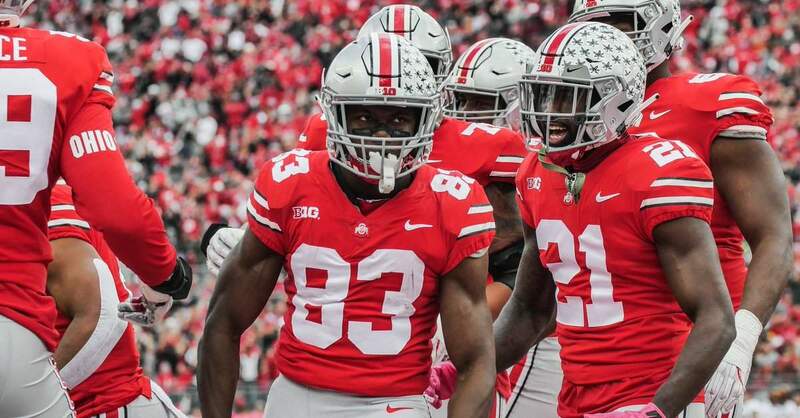 Hill caught nine passes for a career-high 187 yards and two touchdowns while Parris Campbell grabbed eight passes for 56 yards. The Buckeyes travel to Purdue next Saturday for a 7:30 p.m. kickoff on ABC. 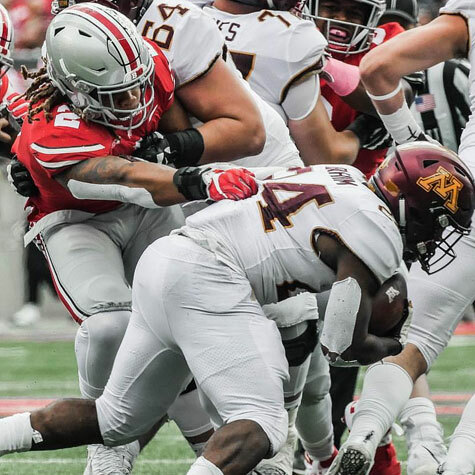 Minnesota started its first drive on the Gophers’ 25-yard line but the drive ended after an Ohio State interception by Kendall Sheffield at the Ohio State 13 with 13:10 on the clock. The Buckeyes capitalized on the turnover by going 81 yards on 12 plays to score on a 21-yard Blake Haubeil field goal with 9:03 to play in the opening quarter. The drive took 4:07 off the game clock. 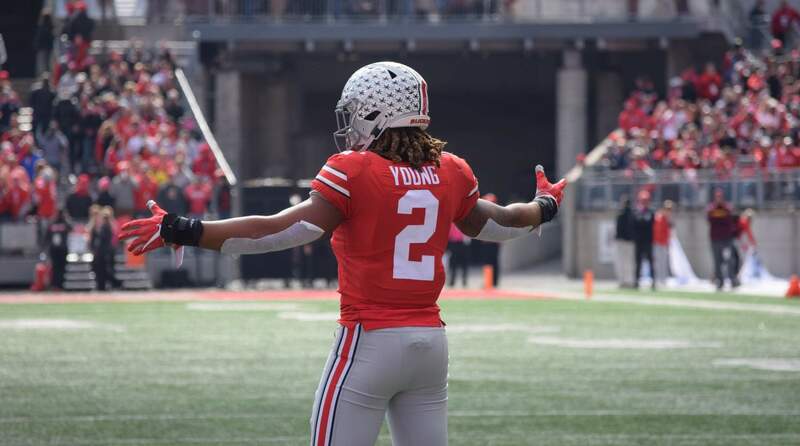 The big play of the drive was a 42-yard Dwayne Haskins to K.J. Hill pass play down to the Minnesota 9-yard line. The Golden Gophers responded with a 75-yard, 11-play touchdown drive to put Minnesota on top 7-3 with just under four minutes left. Tailback Mohamed Ibrahim found the end zone for the Gophers on a 1-yard run with 3:44 on the clock. 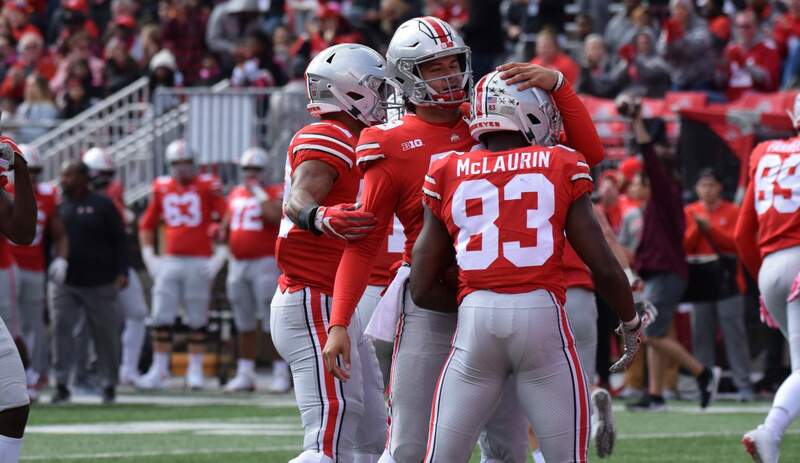 Ohio State scored its first touchdown of the game on a 41 yard Terry McLaurin touchdown grab with 1:07 to play to give the Buckeyes a 10-7 lead. The drive covered 75 yards on six plays over 2:37. Minnesota regained the lead early in the second quarter after a 3-yard Ibrahim touchdown run put the Gophers up 14-10. The drive covered 75 yards on nine plays over 4:14. Ohio State was stopped on a 4th and 1 run play turning the ball over on downs to the Golden Gophers with 7:31 showing on the game clock. 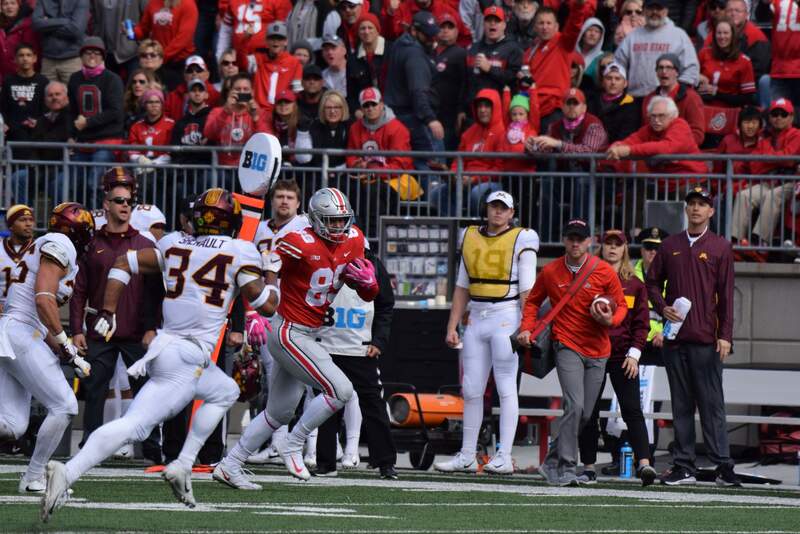 Minnesota turned the ball back over to the Buckeyes after Shaun Wade forced a fumble after a completed pass that was then recovered by Jeffrey Okudah on the Ohio State 24 with 6:12 left in the first half. The Buckeyes quickly turned the Minnesota turnover into points. K.J. Hill scored after a one-handed catch down the middle turned into a 36 yard touchdown with 3:59 left in the half. 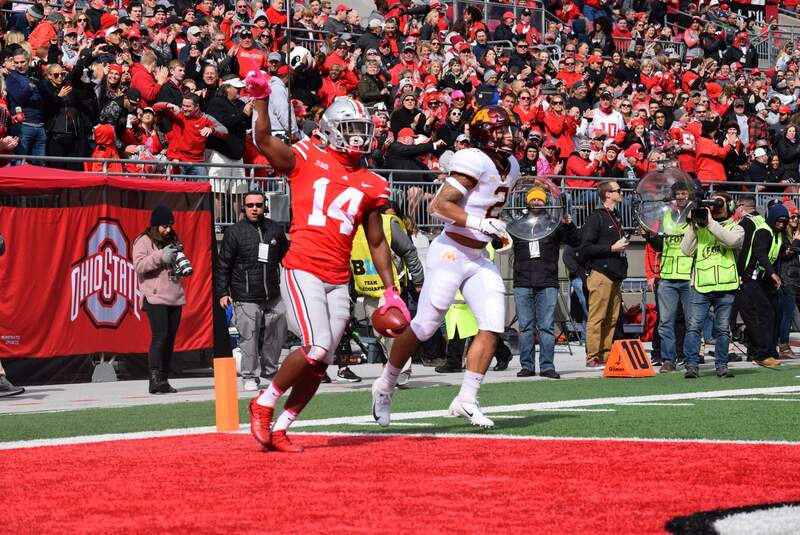 The score put the Buckeyes up 17-14. Minnesota elected to return the ensuing kickoff but was stopped at its 14. 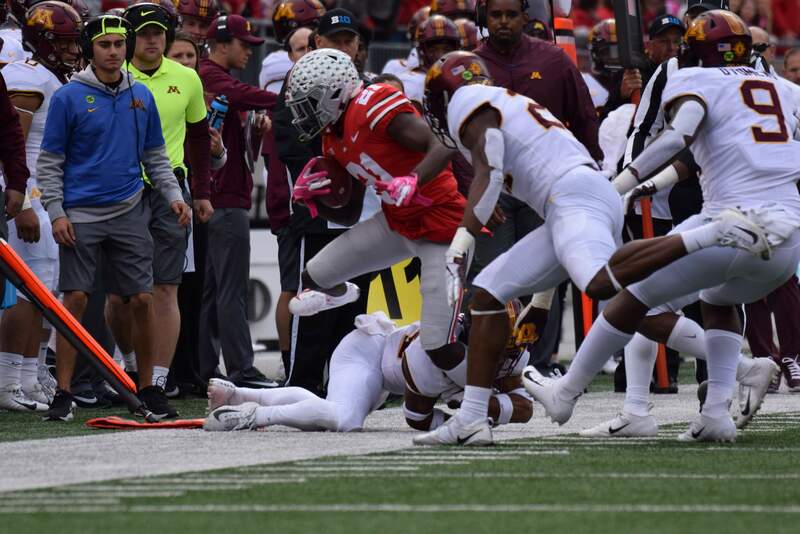 The Gophers were able to advance only to its 33 before the first punt of the game gave the Buckeyes possession on their 23. 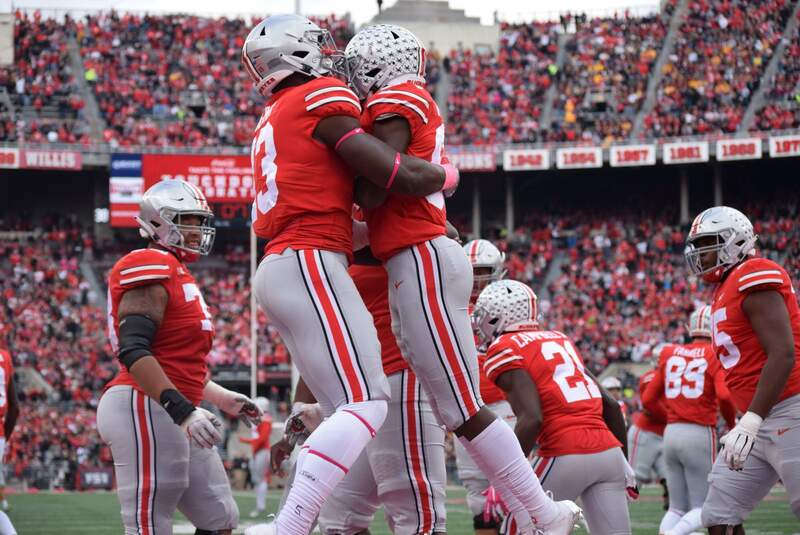 Ohio State opened the third quarter with the ball but was forced to punt. Drue Chrisman pinned the Gophers at their 1-yard line with a 46-yard boot with 11:22 left in the quarter. 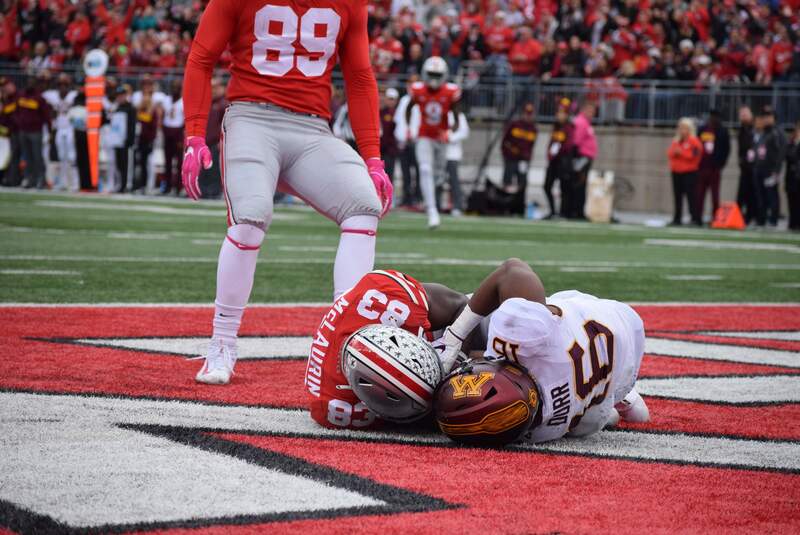 The Ohio State defense denied Minnesota a first down, forcing a Golden Gopher punt from its 9. The Buckeyes took over on their 47 after a 44-yard punt. 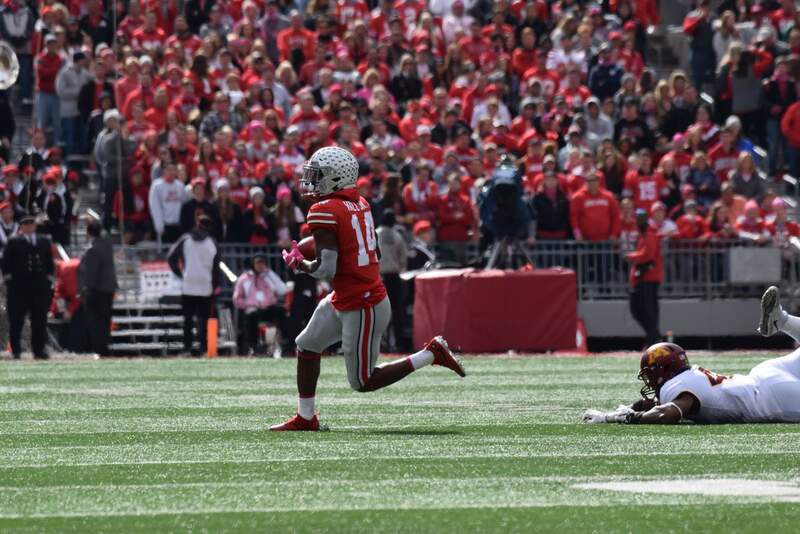 Ohio State drove to the Minnesota 30 before a successful 47-yard Haubeil field goal attempt increased the Buckeyes’ lead to 20-14 with 7:10 remaining. 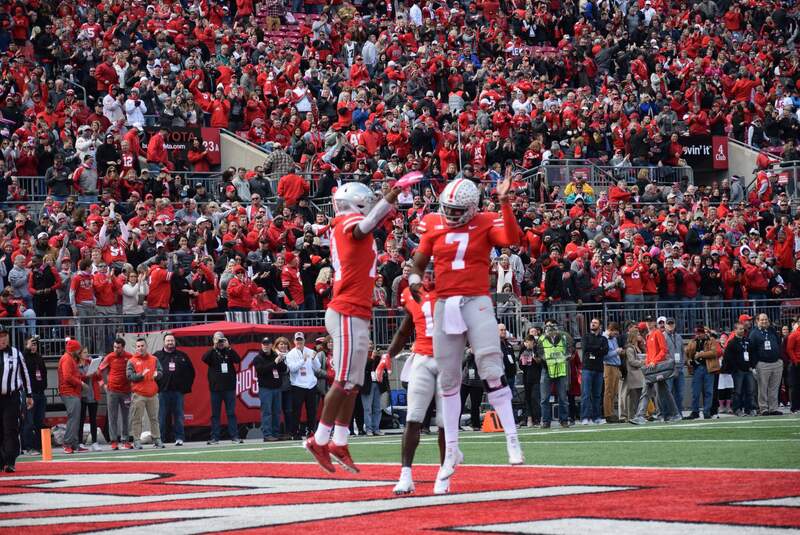 Ohio State’s scoring drive covered 23 yards on eight plays over 2:05. Minnesota attempted to counter on its next drive with a field goal attempt of its own but missed from 32 yards out. The Buckeyes took over on their 20. 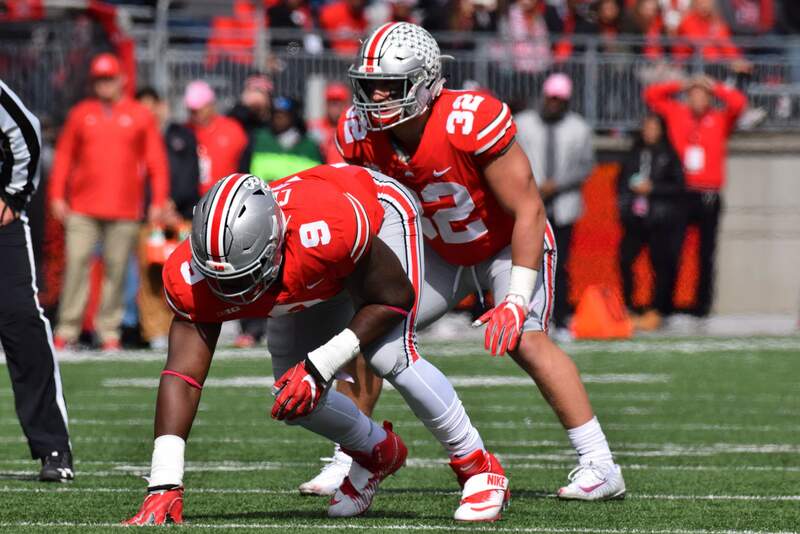 The Buckeyes were on the march at the onset of the fourth quarter but the drive stalled inside the 10 yardline and Haubeil came on for the 27-yard field. That was his third field goal of the day and it put the Buckeyes ahead 23-14 with 10:20 to play. Minnesota pulled out a bit of trickery on their first play with a reverse pass to get into Ohio State territory but on the next play, Isaiah Pryor intercepted Annezstad’s pass at the two yard line to end the brief threat. That was Pryor’s first interception on the season. The Buckeyes managed just one first down on the ensuing drive giving the ball back to the Gophers. Minnesota again drove into Ohio State territory and this time, Emmit Carpenter’s 49-yard field goal attempt was wide right. Ohio State regained possession with 5:46 to play and on third and three from midfield, Haskins hit Luke Farrell for a 13-yard gain over the middle to secure a key first down. Two plays later, Haskins hit Hill for a 27-yard TD strike to put the game on ice. With 2:15 to play, Buckeye fans were able to breathe a little easier up 30-14.